New York (TADIAS) – Ethiopian New Year is around the corner and so is the 3rd annual outdoor festival in downtown Silver Spring, Maryland marking Enkutatash. 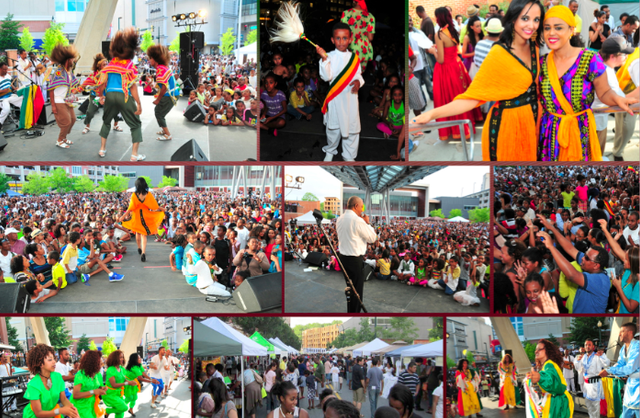 According to organizers, this year’s day-long celebration of Ethiopian culture and tradition will take place on September 15, 2013 in Veterans Plaza. Last year the event featured traditional dance, music, food, vendors, fashion show, award ceremony and a live concert by Mahmoud Ahmed, transforming the venue into Little Ethiopia for the day. Organizers are hoping to build on this momentum and inviting all to join them next month in celebrating Ethiopia’s cultural magnificence. They are encouraging event goers to wear traditional attire.